That is such a wonderful post. Lucky son, lucky grandson and wonderful dad, grandad. My first memory is being in a taxi in Madeira whilst on a cruise with my parents and older brother, I was holding a toy koala bear. I was about 5 years old. 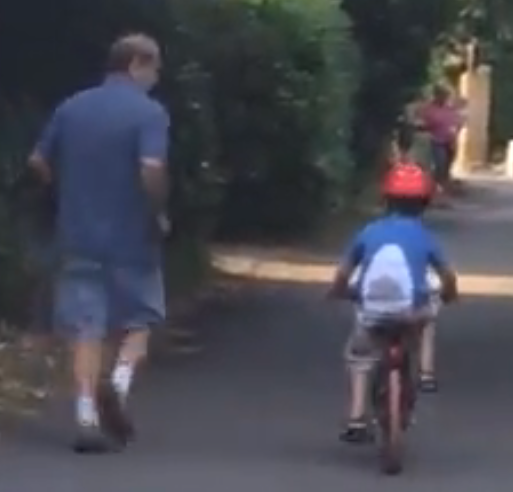 I also remember my dad letting go of my bike after the stabilisers had been taken off. I don’t like how fast time goes my girls are now 25, 24 and 20 and me 50. Before I know it I will be talking even more about my aches and pains and saying I’m 90 me ya know. I’m growing old but definitely not growing up.